What a great take on both our challenge as well as the sketch challenge! Love the use of the pastel colors with the repeated stamping of the sentiment- thanks for sharing with us at The Card Concept! Hugs and we hope you can play along with us again soon! Great card for two challenges Tristan. Fabulous Tristan. It is a great design and love your take on it. Great design, especially the repeat pattern! I’ve been too nervous to try that yet! Thanks for joining us at the Card Concept! Great take on the sketch and I love the colors you used! Not sure how you got all the “Happy Birthdays” lined up so well, but they look great! 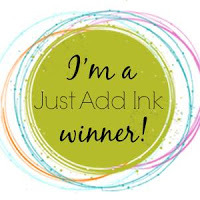 Thanks for sharing with us at Try Stampin’ or Not on Tuesday.